In every country’s history stands out characters that have made notable differences – whether monumental or inspirational. Some of these people were famed for being a jack of all trades, while others were disciplined enough to contribute something to society that would develop it for the better. Many of them have made contributions to the literary scene, sparking others to write and learn more about the subject at hand – one of those literary figures was Mori Ogai. Mori Ogai (sometimes spelled as Ougai) was born as Mori Rintaro, his native name which is spelled out as “森 鷗外” in Japanese. His birthday was on February 17, 1862, in Tsuwano, which is in Japan’s Shimane prefecture. His allegiance was sworn to the Empire of Japan and served the Imperial Japanese army as Lieutenant-General. His years of service were from 1882 until 1916, achieving the official rank of Surgeon General of the Imperial Japanese Army. Among his daughters is the famed Mori Mari, who is also a Japanese author. He participated in 3 wars; the first World War, the Russ-Japanese War, and the First Sino-Japanese War. He won many awards, among which were for the Order of the Rising Sun, which he was awarded the Grand Gordon. He was again awarded the same title for the Order of the Sacred Treasure and 3rd Class for the Order of the Golden Kite. 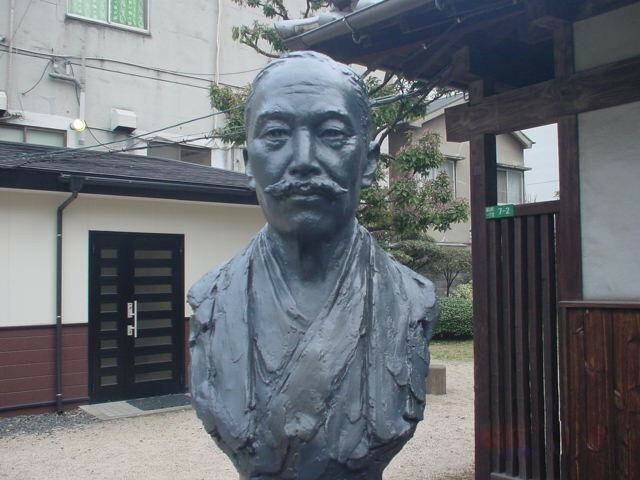 Mori Ogai passed away at the age of 60 on July 8, 1922, due to pulmonary tuberculosis and renal failure. 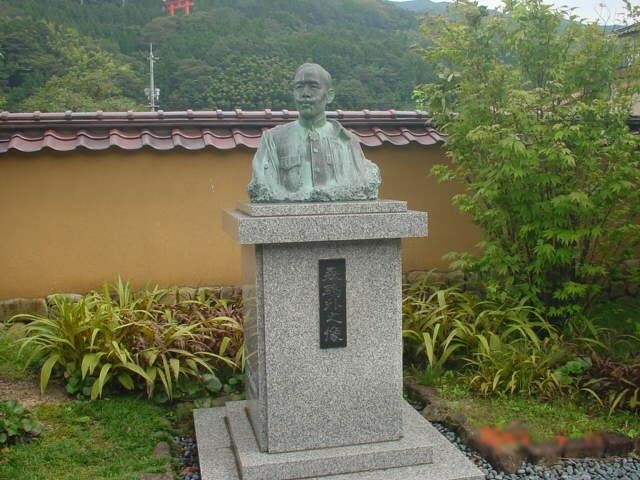 Despite the numerous achievements of this man in the military field, Mori Rontaro would be more famously remembered by his modernizing literary work as a novelist, poet, and translator, created under his pen name which was “Mori Ogai” (森鴎外). While the prefecture Mori Ogai was born in is currently known as Shimane, it wasn’t always known as such. Back then, it was called “Iwami Province”, as Japan, even towards the end of the Edo period, was segregated by provinces. “Tsuwano”, however, remains the same. The story of Mori begins as being the firstborn boy to a family of physicians who tended to the powerful feudal warlords or “daimyo” that had control over Tsuwano. Because he was the eldest male, he was made to continue the tradition held by the family for so long. Thus, Mori Ogai studied in the academy that was set up for the domain, studying Confucian classics. Because the Netherlands was one of the few countries that Japan had relations with (albeit minimal) during the Edo period, Mori was given private lessons to learn the Dutch language, alongside the subject of “rangaku” – which is a Japanese subject created specifically to keep up with Western sciences through connections in Dejima, which was a Dutch enclave. Much change was brought on by this restoration, and although Mori was very young, he played a witness to this and was very much shaped by it. Many clans were forced to kneel to the emperor, removing power from those who once had a lot of it. It was in 1872 when the segregation by domains was abolished, which sent the family of Mori (also called the Mori family) to transfer residences to Tokyo – particularly in the house of Nishi Amane, a Japanese philosopher who is famed for bringing in Western ideas to Japanese education. There, Mori continued his pursuit of becoming a doctor with the aid of Nishi Amane. The philosopher taught him the German language so that Mori could keep up with the main language that medical education was being taught during that era - and Germany spearheaded that field. By the time Mori was 12 years old, he began his studies at the government medical school – which would soon become Tokyo Imperial University’s Medical School. In the year 1881, Mori Ogai had turned 19 years old, and was awarded a medical license; graduating as the youngest person in Japan to have earned a medical license. Ironically, while Mori was submerged in medical studies and cases, his love for the literary world began to develop. He would devote time to reading piles of popular novels that were circulated during the last years of the Edo period and enjoyed reading so much that he studied more Chinese literature, and Chinese poetry by enrolling in lessons. However, life went on and he continued his first-chosen vocation, becoming a medical officer for the Imperial Japanese Army. The specialties he was targeting to develop were in hygiene and military medicine, and by 1882, he received a commission to become a deputy surgeon – also known as a lieutenant. He took on the opportunity assigned to him by the army when he was 22 to live and study around several places in Germany, specifically in Berlin, Dresden, Leipzig, and Munich. This went on for two years and attributed to cultivating Mori’s passion for literature -but this time, with a focus on European Literature, that would positively impact his ability to successfully translate Japanese works into English, and English works into Japanese. Upon completion of his travels and studies, Mori returned home, where he would continue to study in Army War College. His promotions include becoming a captain in 1885, otherwise known as “surgeon first class”, and then completed his degree in 1888. He would soon be ranked higher one year later to lieutenant colonel or “senior surgeon, second class”. Mori was dedicated to his job and published his own medical journal which he fully paid for himself, endorsing the utilization of scientific approaches in studies. 1889 onwards is also the period when Mori took to writing his own literary pieces, one of which was called “Shiragami soshi”, which is dated from 1889 to 1894. He also wrote poetry and compiled them in a book called “Omokage”, also in the year 1889. Mori was not a fan of realism, stating that emotions and spirituality were best reflected using literature. Mori would eventually become a colonel – known as a senior surgeon, first class at that time. This occurred during May 1893. 6 years later, Mori would marry Admiral Akamatsu Noriyoshi’s daughter – Akamatsu Toshiko. The admiral was close friends with Nishi Amane, the philosopher whom Mori lived with. Sadly, he could not see eye to eye with Toshiko, so when his marriage with the girl came to a bitter end via a divorce, it also cut his ties with the philosopher and admiral. 1894 onwards, Mori would move to many different places. The First Sino-Japanese war saw Mori in Manchuria, and next, he was in Taiwan. He was finally made Army Medical Corps head, earning the title of surgeon major-general. By then, he would reside in the town of Kokura, in Kyushu – and is said to have lived here for criticizing other doctors as editor of a Japanese Medical Journal. In 1902, he was moved to Tokyo, and then took part in the Russo-Japanese war in Hiroshima. 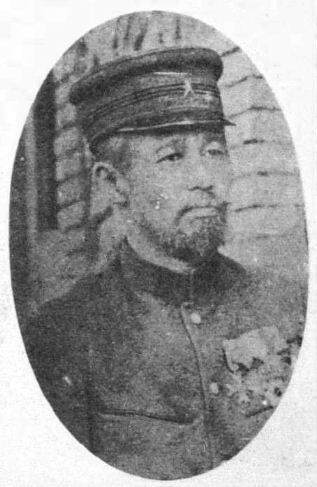 Mori finally received the highest ranking in the Japanese Army Medical Corps by 1907, which is Surgeon General of the Army. He also headed the Imperial Fine Arts Academy – recognized today as Japan Art Academy, alongside becoming Beriberi Research Council’s (BRC) chairman. Thanks to efforts made by Mori, a discovery was made pertaining to how the Beriberi disease is contracted. He led measures to formulate a remedy by building a foundation which was (albeit posthumously regarding Mori) and was right in finding one. During the last years of Mori’s life as a retiree, he worked at the Imperial Museum, where he was appointed as director. Mori was continuously writing throughout his adult life. Even if there was a segment where he wrote very little (this was from 1892 to 1902), he was still editing “Mezamashi gusa, 1892-1909” – a literary journal. As a prolific linguist and translator, works by famous artists from the west such as Hans Christian Andersen and Goethe were translated into Japanese by him. The habit of writing poetry in his diary seems to begin in 1904 when he joined the Russo-Japanese war. 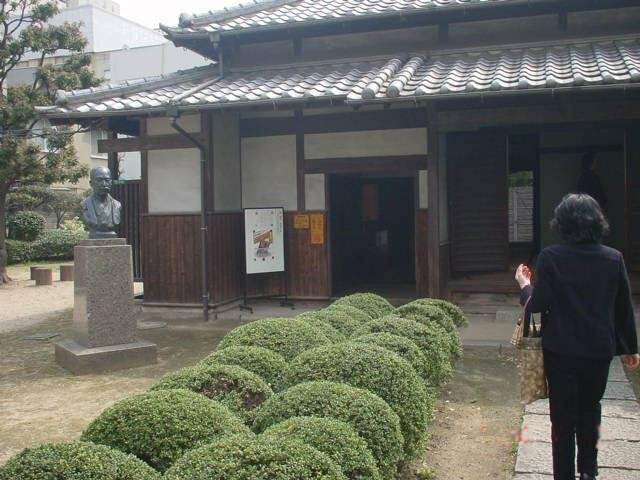 This is when he was observed to throwing “writing parties”, where many Japanese poets were invited to partake in writing under the classical “tanka” genre of Japanese poetry. One Japanese poet who was often invited to these parties was Yosano Akiko, who would join Mori in 1909 to found “Subaru”, a Japanese literary magazine – along with the help of Yosano Tekkan. Mori seemed to have a way or pattern when it came to his literary work; as there are 3 segments to it. The first is made of 3 years - from 1909 onwards when he used his past experiences to fuel stories of fiction. This is when his works Gan (雁 The Wild Geese, 1911–13) and Vita Sexualis were created. Vita Sexualis was the first to be released and was subsequently prohibited for public consumption because of its sexual lewdness. Mori argued that individualism and sexuality – which were popular trends in the west – were metaphorical to the connection between one’s soul and body. Moving on from that, he would also write about how the Ministry of Education was controlling literature and attempted to clarify intellectual freedom in terms of how the Ministry of Education perceived it. In his later years, circa 1912 to 1916, Mori preferred to write bits of historical non-fiction. He was moved to write particularly about patriotism and self-destruction and self-sacrifice, as he was moved by the unforeseen suicide of General Nogi Maresuke on the funeral day of the Meiji emperor. It was during this period he created two stories, namely Takasebune (高瀬舟) and Sanshō Dayū (山椒大夫), which would later be turned into a film. During the third and final segment of his writing career, Mori wrote biographies of three doctors that existed during the Edo period. Because of his contributions in of poetry, stories, and translations in the literary world, Mori Ogai is regarded as one of the Meiji Period’s most prolific writers. He launched Japan’s literary criticism movement in line with Karl von Hartmann’s ideas. If you head to Kokura station, you’d be within walking distance to a preserved residence that was once occupied by Mori, found in the Kokurakita Ward. It is in this residence where he wrote in his diary. Another preserved residence of his is the house he was birthed in, which is in Tsuwano. It is common for content creators nowadays to use historical figures as characters in their stories, and Mori Ogai has indeed been turned into a character in “Saka no Ue no Kumo”, which is a fictional novel. Teito Monogatari is another fantasy genre novel where he appears in. Lastly, he also can be seen in Bungo or “Bungou” Stray Dogs, the anime, which tends to use historical authors as characters. Other characters in that same anime include Osamu Dazai, Kunikida, Atsushi, Tanizaki, Akutagawa, Ranpo, and Rintarou Okabe. In terms of lip work, the Mori Ougai character in the Bungou Stray Dogs Anime borrows his voice from two people; Miyamoto Mitsuru for the Japanese show, and Keith Silverstein for the English one.